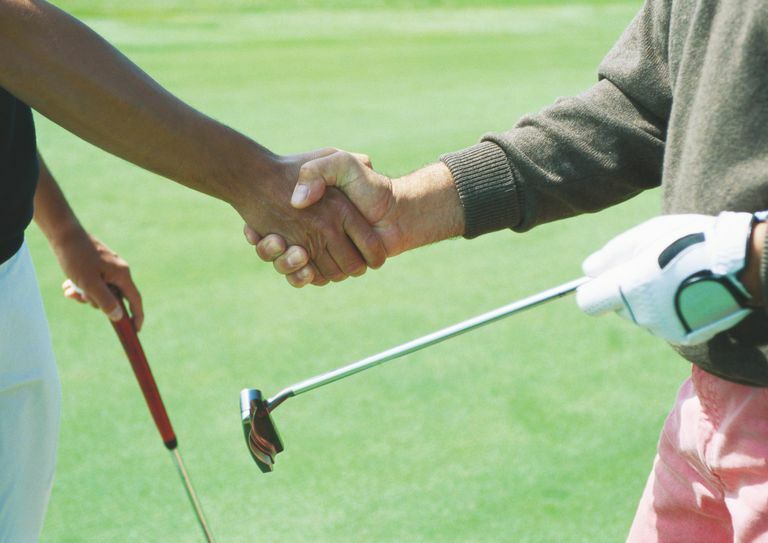 Whether you’re a neophyte golfer or you have been playing golf in Branson for a long time, it’s important to play the game with proper etiquette. By knowing proper etiquette in playing golf, it can give positive impact on your game and it can even help you become a successful golfer. As a beginner, you may be overwhelmed by a variety of golf tips you come across. If you are keen to play with other pro golfers, you need to learn some golf etiquettes to keep you on top of your game. This will help you get some insight in the game and make you more confident in getting ready on the golf course. Every golf player needs to do a better job of not only lightening up the rules but also educate you with the complex ways of golf course etiquette. You don’t need bigger holes or clubs. You need to feel comfortable out there, that will lead you to more fun. Here are some tips every new golf beginner should know about basic golf course etiquette and how to keep up the pace. Always come early to your tee time. If your tee time is 1:30, don’t show up at 1:30. Forget “5-minute rule” when you are just starting to play golf. You should arrive at the golf course 20 minutes before your tee time so you can check in, get your bag loaded and complete any other miscellaneous housekeeping (hot dog, sunscreen, buy tees, etc.). If you like to do some warm-ups, add an extra 15 minutes. The whole group should be at the first tee 5 to 10 minutes before tee time (or within eye sight of the course) and ready to have your peg in the ground at the starting time. Go easy on the practice swings. Everybody knows that golf swing feels weird, but when you’re on the tee, try a practice swing or two off to the side while others are preparing to tee off. If you’re at your ball and it’s not your turn yet to hit, feel free to take a few extra practice swings, just to make ready when it’s your turn. If you have to ask if it’s time for you to hit, you probably should have hit already. This happens always to beginners. They’re standing at their ball somewhere just off the green with three sets of eyes on them before they think of something and ask, “Am I up?” Try to avoid this. If you’re away, just go. The group will appreciate your eagerness. While you’re playing golf in Branson among people in the outdoors, don’t stay buried in your phone. Leave it in the cart with the ringer off, your would-be callers will understand it. Avoid keeping it in your pocket, it may go off on the green as your partner is over a three-footer. If you’re a newbie playing golf in Branson, it’s important to know proper etiquette as it can give a good impact on your game.